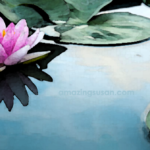 Susan updates: This blog entry was posted December 29, 2009. One year ago this week violence erupted once again in Palestine. It continued unabated for weeks. Hundreds of people were killed. Thousands of homes were destroyed. Millions of lives were impacted. Today, one year later, the living conditions in Palestine continue to be disastrous. It’s an ongoing tragedy. And yet, there’s also hope. Many women, in particular, refuse to accept the status quo. They are Muslims, Jews, Christians, Israelis, and Palestinians. They are women of all religions, races and nationalities. They believe in building bridges instead of fences, in the benefits of inter-cultural understanding and diversity, and in empowering and educating women. They constantly work toward achieving peace. occupation of Gaza and the West bank. coordinate rehabilitation efforts for the West Bank village, Beta. Muslims. “The midwife who helped my mother through my birth was Jewish. Muslims until the 1920s,” she said. of what I have achieved." and ethics and want to exert a positive influence on the society. figures to discuss methods of peace promotion. Palestinians in the West Bank and the Gaza Strip with food and toys. Arab and the Anglophone world, but also within the Arab world itself. of many human rights organizations, and women’s organizations. been awarded several Honorary Doctorate degrees. culture that we all share." Amneh Al-Rimawi grew up in a family of twelve children with an independent and strong personality, always defending the rights of her sisters. While studying, she embarked on voluntary social activities side by side with men, and also became the only female member of "Dababis", a Palestinian drama group. Over many years, she has fought for wage parity between men and women and has helped to establish a center for labor studies in Ramallah. Previous readingOne World. One Goal: Education For Everyone!